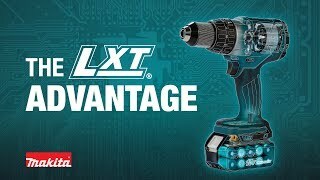 DESIGN : Designed to cut openings in installed board with an adjustable blade depth up to 1-3/16"
For straighter, more accurate cutting in vertical and overhead applications, Makita has a solution with the 18V LXT® Lithium-Ion Cordless Cut-Out Saw (model XDS01Z, tool only). It’s designed to cut openings in installed board, including drywall and plywood, and will cut up to 984 feet of ½” drywall on a single charge using a 4.0Ah battery (sold separately). To help prevent damage to objects behind the board being cut, it has a short ¼” stroke length with an adjustable blade depth up to 1-3/16" (9/16" in wood). For improved dust extraction, the XDS01Z has a dust port with a clear dust box for increased visibility. It is ideal for cut-outs and drywall repair applications. Shipping Weight : 3.8 lbs.